First HomeCare Web » How Old Is the Roof on Your House? Residential roofing projects are a major investment, and should e seen as such. Everything from selecting the roofing materials to hiring a contractor involves research, references, and recommendations. And while one contractor may be a good fit for one home owner, that same contractor may not fit as well for another customer. In many cases, however, it is a good idea to select a roofing material before you decide on a residential roofing contractor. the possibility that a certain contractor may push one product over another may keep you from thoroughly exploring the roofing material options. The types of roofs that people install are often determined by the weather in the area and the building codes in the area. For while terra cotta ceramic tiles may do well on homes in the southwestern part of the country, the are not a good fit for a climate that experiences lots of freezing and thawing. Asphalt Shingles. Available in a variety of price ranges and durability levels, asphalt shingles are applied individually and are similar to the roofing products that have been used for years. And while some aspects of this kind of shingle are similar to products that have been available for a long time, the fact that the newest top of the line products in this category come with impressive warranties make them a popular choice. Some of the maintenance free options that are available today, for instance, have a warranty that lasts for up to 50 years. The fact that these shingles are also impact resistant make them a viable option in locations of the country that have to deal with high winds and hail. Residential roofing company contractors often recommend this maintenance free highend product when a home owner is getting ready to upgrade their roofing investment. This kind of roof is known for increasing the resale value of a home. Available in a variety of colors, asphalt shingles can be selected to match the color of your home. Metal Roofs. Still available in individual panels, most metal roofing is applied in large sheets. Covering everything from residential to commercial properties, metal roofing options are popular in many parts of the country. The fact that large pieces of ice and large amounts of snow can easily slide off metal roofs helps eliminate the heavy weight that can accumulate on homes in some parts of the country. The fact that this product is also available in a variety of colors means that it can be a great upgrade to properties with a number of buildings. Imagine, for instance, the impressive look of several buildings with bright red metal roofs on your property. Knowing that these metal roofs are credibly proven to last over 30 years with minimal maintenance makes them a wise roofing choice. Another reason that many home and property owners select metal roofing is that they appreciate the environmental impact of this product. Did you know, for instance, that metal roofs typically have a minimum recycled content of 25%? At the end of their life, metal roofs are 100% recyclable. Specialty Roofs. Tile roofing in the southwest serves the distinct purpose of reflecting the high heat of the day. And while this is an attractive look, it is not a feasible option for many other locations. 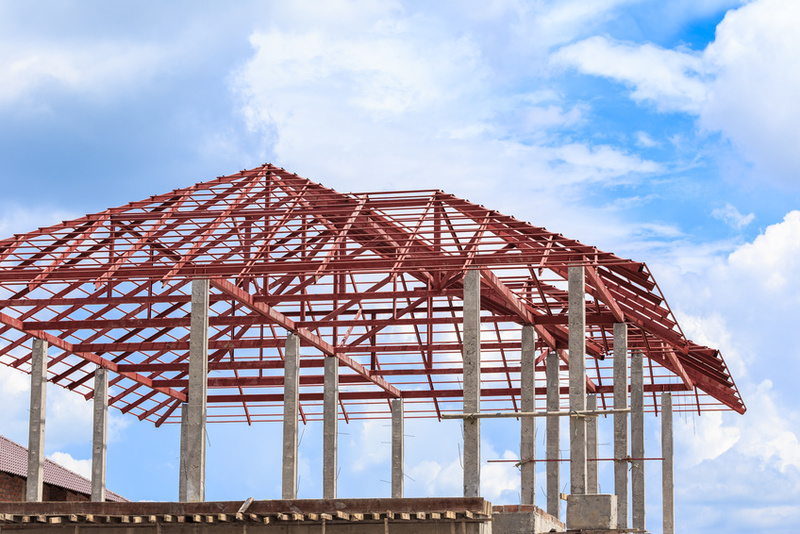 As the roofing market continues to expand, other specialty products are being developed. One expensive example is a residential roofing product, developed by the Tesla company, that is a roof made entirely of energy solar panels.